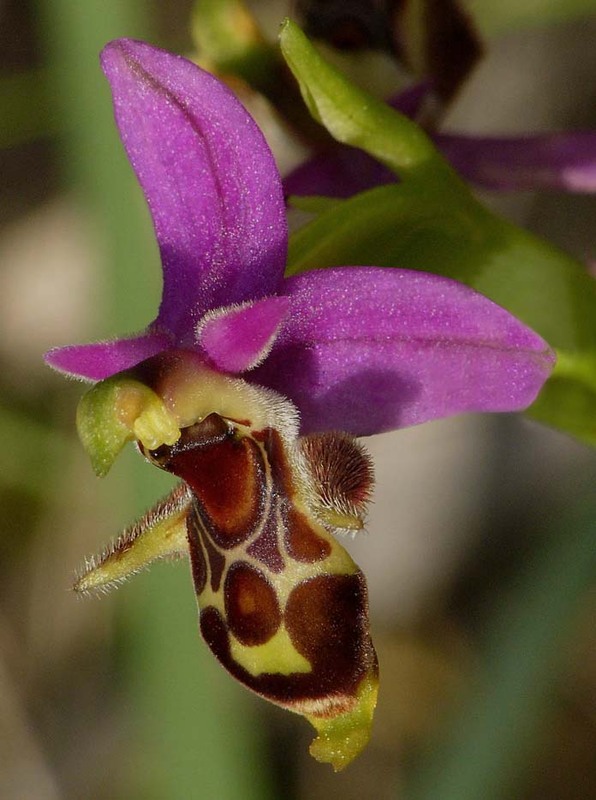 O. orphanidea was first described in 2007 by Messrs Saliaris and Delforge from the Aegean island of Chios and is a member of the steadily burgeoning and increasingly confusing O. oestrifera group of Ophrys. The taxon was named in honour of Theodore Orphanides, a 19th century Greek scientist. 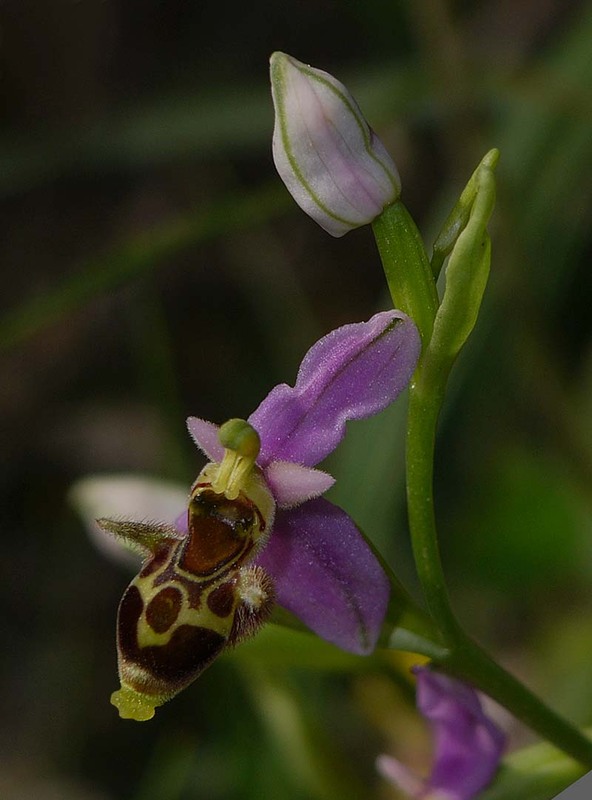 As with the also newly described O. masticorum it seems to have taken a long time on such a well botanized island to conclude that these were new Ophrys, having previously been regarded as O. bremifera and subsequently O. ceto. 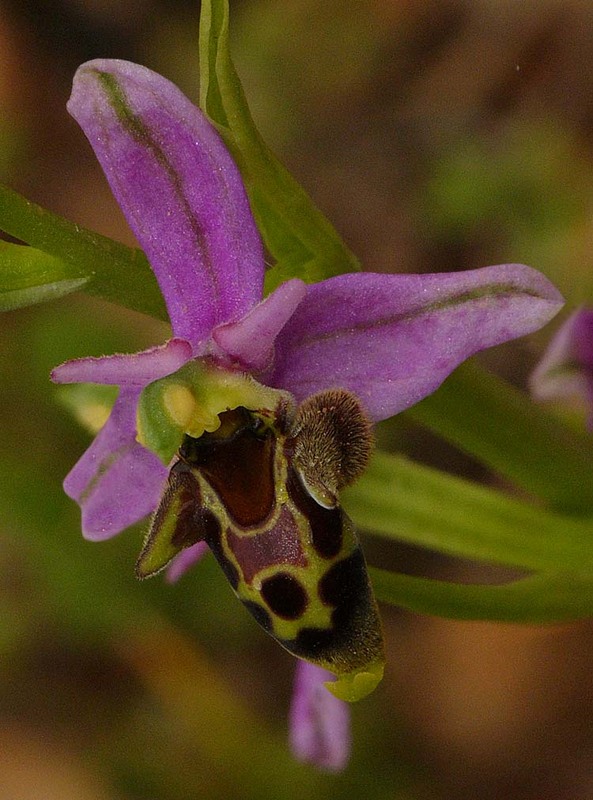 Again as with O. masticorum, it is relatively common and its original status as a Chios endemic is now questioned having also been reported from Lesbos. 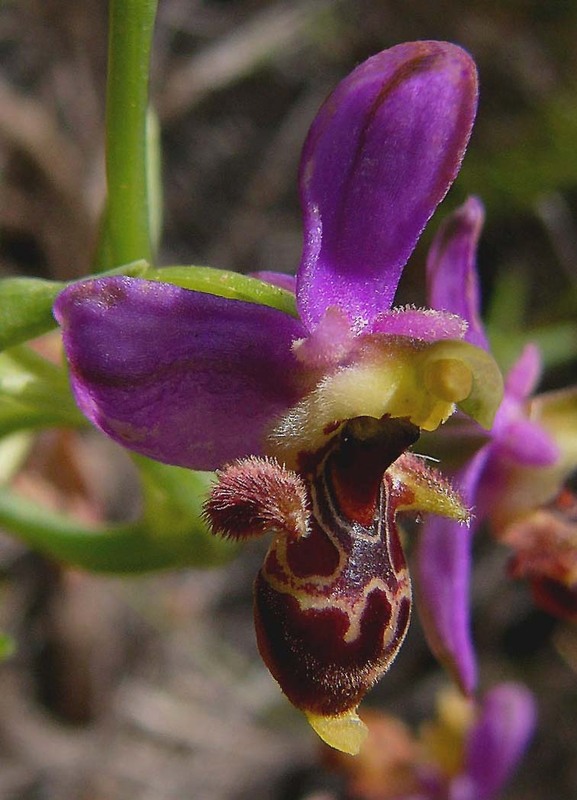 As yet we can find little definitive data that unequivocally identifies this species and what follows is largely based on personal observation of a limited number of plants. 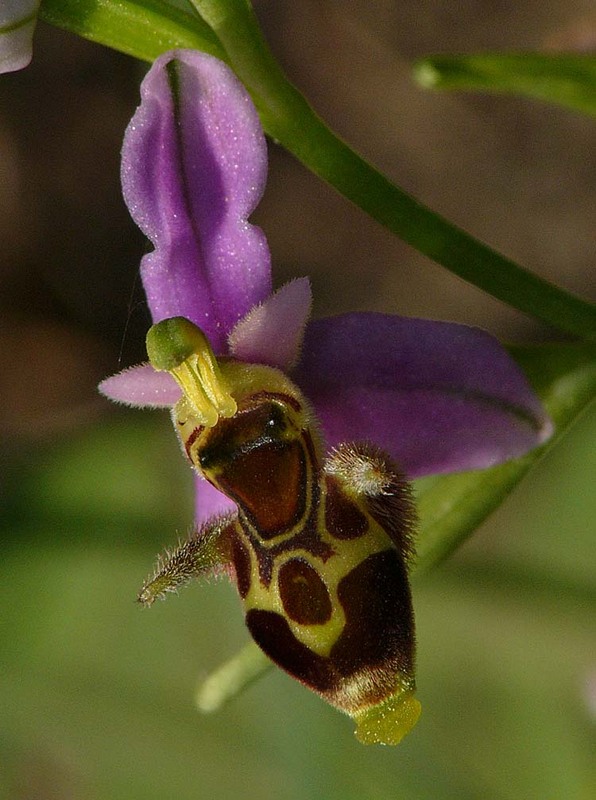 The plant itself is slender and often carries a seemingly disproportionate number of small flowers that attach to a longish ovary, held away from the stem (the illustrations depict this feature quite well). 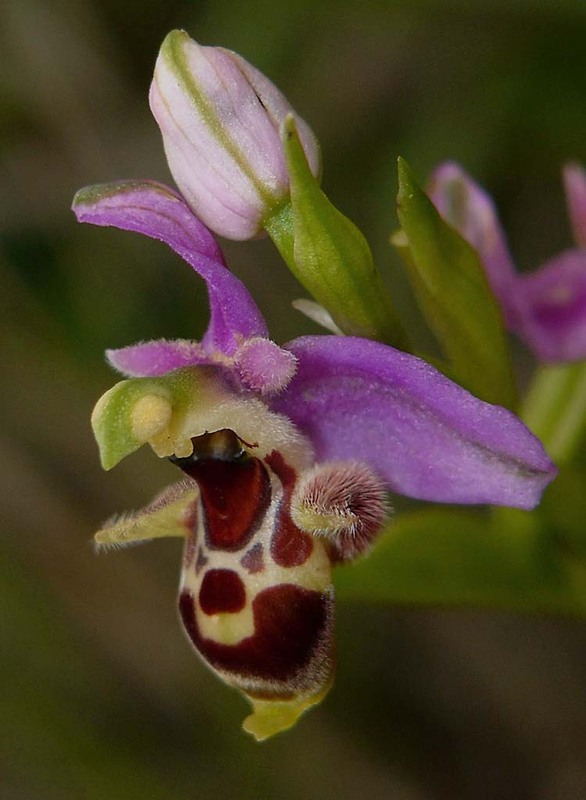 O. masticorum is the species that is most likely to be confused with O. orphanidea and for good reason - it's very similar. 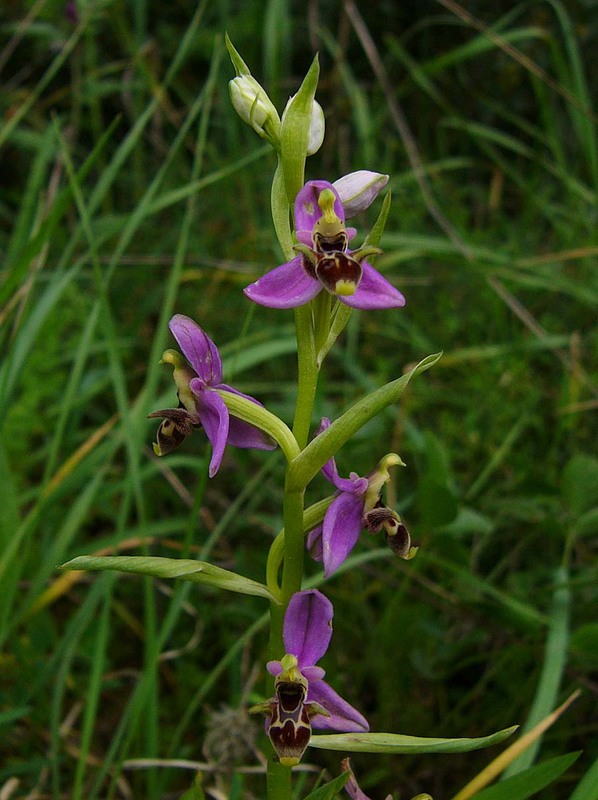 The lateral sepals on the former tend to be larger, longer with a dorsal sepal more strongly inclined forward. The body of O. orphanidea is fuller and the speculum usually more complex. The pictures are from Chios and date from the second week of April.